Damarius here. Some words about me: I live in Austria, and work as a software developer at a TV broadcast Station (OktoTV). I am really into anime and manga , ...just love this stuff. Oh I play guitar and bass. You can check it out on youtube(my AMV too) (you find the link under "homepage") And please give my new Character Package I made for UT2004 a try. You find it in the "addon" section. Hyperdimension Neptunia Character Models, summer swimsuit edition. 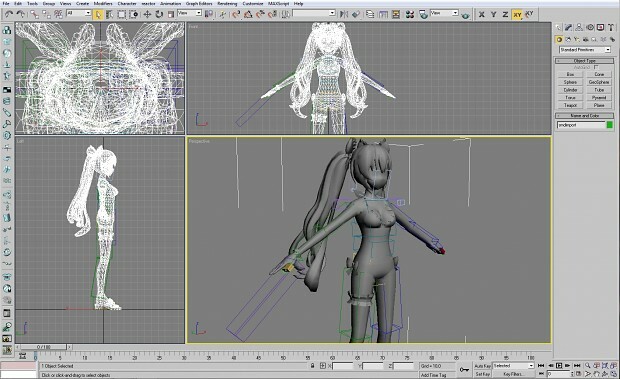 I am currently working on the Noire model.